Besides losing weight, it seems like a lot of people also want to tidy up and organize their lives in 2015. 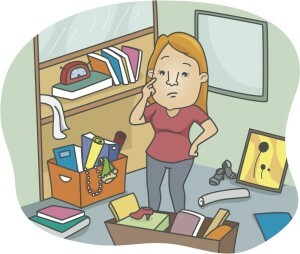 According STATISTIC BRAIN and Fox59.com, getting organized is the number 2 New Year’s Resolution in America. As a teacher, are you a natural organizer or do you accumulate so much material that you don’t know where or how to start? (Some motivation: scientists link cluttered classrooms to increased distractibility and lack of focus in student’s.) If you’re among the cluttered, don’t despair. Just like the fitness industry, people have made businesses out of helping others get organized. There are at a minimum, hundreds of self-help books, addressing home and workplace clutter. Just look at this list from Amazon to get an idea. There are also numerous organizational and decluttering professional consultants ready and willing to help you keep your resolution. I recently had the pleasure of speaking with an individual who has made her living out of cleaning up other people’s lives. She passed on some great ideas as well as her interesting story. When your done reading this you might seek out her services, or consider following her moves to start making some additional money of your own. Meet Barbara Reich, of Resourceful Consultants LLC. Seeking her professional, in-person consultation in the home is not cheap, nor is it Nationwide. She does have her share of affluent clients, willing to pay her fee of $275 per hour, that live in the New York metro area and some surrounding suburbs, where she operates. 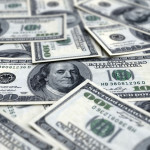 Perhaps no one on either end of the salary spectrum is really immune to the clutter issue. Unless you live in the NY Metro area and can afford her fee, a home/classroom consultation may not be possible. However, there is a lower price option. Organize your life with Reich by the book, or as The New York Times called it, “Barbarafy!” Barbarafy your spaces with her fun, no-nonsense, simplified approach to clearing out living, working, playing and storage areas. Her method is simple: “one must purge, design, organize and maintain a system that an individual or a family can live by.” Her system applies for the classroom too, and her book can be found for less than $15 for a paperback edition or around $10 for a digital download. They both can be found at Amazon and other marketplaces. I asked her, “Do you have to make a costly investment in buying many new storage products to get and stay organized?” Reich says no, and that it doesn’t matter if the organizational material costs 50 cent’s or is expensive. However, there should be a system, and consistency. “Hangers should all be the same,” “Less is always better,” was just some of the tips she mentioned during the conversation. Reich also offers workshops and lectures in Manhattan. A fee of $250 gets you in the door to her March 15th event, titled Becoming a Successful and Professional Organizer. This will draw crowds looking to make organizing and de-cluttering a business of their own. Lately, she has received a lot of emails from teachers looking to do this for a living. 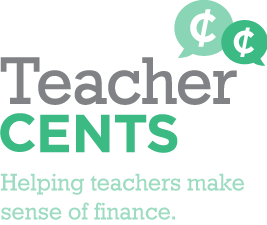 She told me, “Teachers tend to be organized.” “If they are really serious about the business, people invest in these workshops.” A $250 investment might help you turn your organizational gifts into a nifty, moneymaking, second job. More on Reich can also be found on her Facebook page, and by watching her newly launched web series on HooplaHa! Teachers, how organized are you, and do you invest in professional help or low-cost resources for tips and items to de-clutter your life? Would you consider becoming a professional home organizer as a second career or when you retire from the classroom? 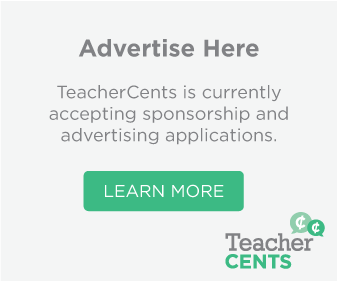 Share your thoughts with TeacherCents.